Have you chosen a rustic style for your wedding decor? Perhaps you have chosen a barn venue or tipi and think that adding a rustic touch to your decorations would be the perfect choice, well you are not alone. Our rustic wedding decorations are one of our most popular themes on The Wedding of my Dreams. 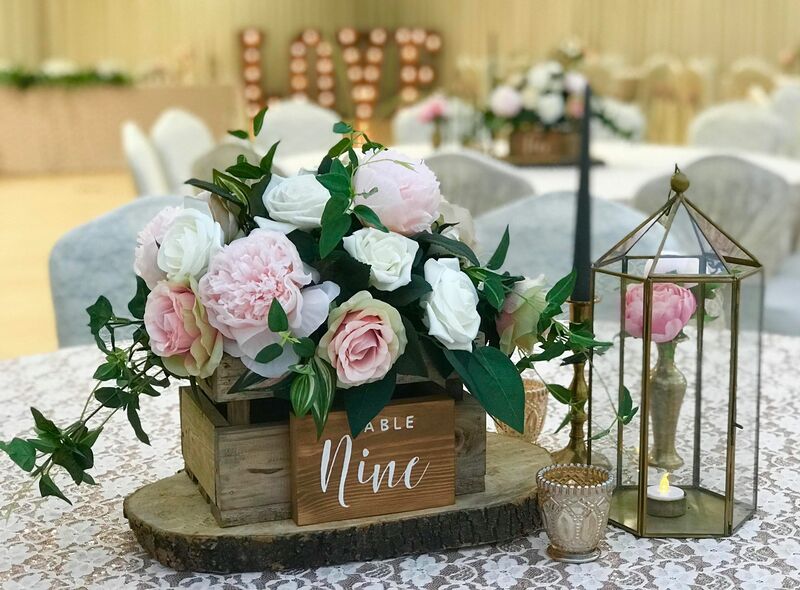 Gayle from GDC Weddings & Events has used a couple of our rustic decorations and a few of her own props to show you how to create a gorgeous rustic centrepiece. We LOVE it. 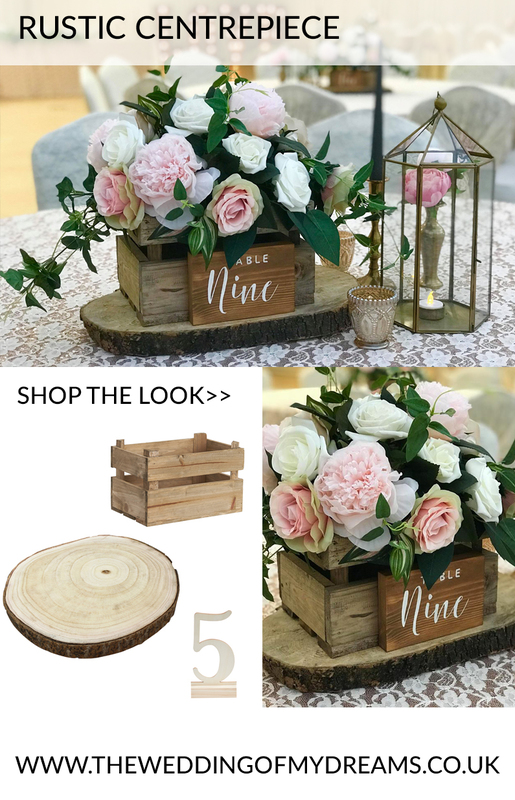 If you fancy having a go at the flowers yourself you should check out our ‘How to make a crate box centrepiece‘ with step by step instructions for adding the flowers. This look is suitable for round tables and long tables, for long trestle tables place the crates down the centre of the table and add candles and tea light holders in between. Note some of these are different to the set up below as some items belonged to the stylist.